COMBINED FRASER COAST CHAMBERS OF COMMERCE INTRODUCE NEW COUNCIL TEAM ELECTED BY THE PEOPLE @ BROLGA THEATRE BREAKFAST. We have had a fabulous response and great interest across all Chambers in meeting our new Mayor and Councillors. As there will be 160 people in attendance, the format has had to change. Registration will commence at 6.15am and a buffet breakfast will now be served from 6.30am. Please arrive early or you will miss out. For those who have not registered, please do not just turn up as there is no further seating available. Maryborough Young Professionals are pleased to announce The Hon Warren Truss MP, as special guest speaker at our August breakfast. How has he outlasted many of his colleagues and opponents in a career that has spanned more than two decades in one of the toughest jobs around? Mr. Truss will share with us some of this inspiring story and discuss the young professionals he has encountered along the way – what did they do right and more importantly, what did they do wrong? What can you and I learn from them? New Fraser Coast Council CEO Lisa Desmond. THE Fraser Coast Council’s first female CEO kicked up her four-inch heels yesterday as one of her most eagerly awaited days came to an end. Former Director of Corporate Services Lisa Desmond, who has been acting chief since Andrew Brien packed up for Western Australia last year, was officially handed the top job in yesterday’s council meeting. There were 56 applicants for the position, six of whom were short listed, but ever since the position was declared vacant Ms Desmond has been the hot favourite. Still, the relief and joy was obvious on Ms Desmond’s face when mayor Mick Kruger re-opened the confidential section of the meeting and announced she had been the successful applicant. When the meeting was over Ms Desmond was embraced by fellow directors Wayne Sweeney and Peter Smith and the 10 councillors present. For almost 20 years Ms Desmond has been crunching numbers in council departments and has put together countless budgets. While council officials have never been drawn on the exact salary the former CEO received, the position reportedly fetches about $280,000. Ms Desmond said she was proud to be the first female to take on the role and hoped she would be a positive role model for young women in the region. “It’s a privilege to be one of the few senior females in local government in Queensland,” Ms Desmond said. We hope that the number crunching by our newly appointed Fraser Coast Council CEO Lisa Desmond differs from days past as it did not work for this area as of late. Are we in for more of the same or what is going to be so different. What is she going to do that is going to change things? Will she change things for the better prior to the next local election? If not , then the current councillors who supported this appointment will be facing the polls and the people. Women are great people and they play a very important part in business & governments throughout all regions. One must however note that they now over dominate the FC councillor numbers in addition to this very important appointment. There are currently 7 female and 3 male FC councillors. Is this appointment going to continue such an approach to increasing charges & squeezing dollars from developers already on the edge or moved out of the area.? The shovel ready approach by council appears merely to be a band aid approach and has serious flaws, but sound in concept nevertheless. What part was played in the past and or input had by the new CEO Lisa Desmond in the developers crisis that mushroomed here & is still here @ the Fraser Coast??? We elect our representatives carefully as the councillors should elect the CEO carefully.We all hope that this decision is the right one and wish her success working for the people who pay her and the Councillors. This appointment would not have been an easy task for the council, but it had to be done. The persons from council on the appointment committe.Mick Kruger, Julie Arthur & Dave Dalgleish are competant persons and we all hope have made the right choice for the future prosperity of the region. The voting public should be aware of the imbalance of sexes in council at the next local election perhaps or if happy maintain the staus quo. Firstly, let me thank you for the incredible support that this campaign has generated. We received over 3600 emails or letters in support of a new air route to be established between Melbourne and Hervey Bay. At this stage, I do not have anything super positive to report. We have been in constant negotiations with the airlines and they are still very keen to explore the establishment of a new route when the economic climate is more stable. Whilst we missed out on the summer scheduling, we are by no means out of the race. Please be assured that I will continue to give this project my energy and dedication, and hopefully in the future, we will all be able to fly to Melbourne on a direct flight. Once again, your support is not only much appreciated, but critical to the cause. 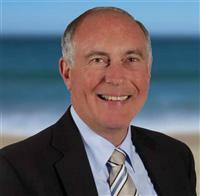 ELECTION PROMISE BY A CONTENDER FOR THE NEXT LOCAL FRASER COAST ELECTIONS.ARE YOU A STARTER?THEN SEND US YOUR MESSAGE. Help ensure that we elect better Councillors to the Fraser Coast Regional Council (FCRC) at the next elections. Ø Opportunities for our children and grandchildren to have a better lifestyle. Then we need your help to secure these results at the Council elections. 1. Invest Your Time – Invest some of your time to talk to your friends and neighbours about what we are working to achieve. It is achievable if we all pull together. Also invest a little time to tell us about the issues that concern you and any solutions would like to see the Council implement. Help us to spread the word – there is a better way. 2. Invest Your Energy – Through this year we need people to help deliver newsletters. If you walk for exercise or have some spare time and energy, you could be of great assistance to the cause by dropping off some newsletters along your way. The more we can deliver the wider we can spread the message that there is a better way. 3. Invest Your Money – Just $10 to $20 each month will help us to continue to spread the word around the Fraser Coast. Think of pledging $10 – $20 each month as an investment. When we elect a new Council, the Councillors can vote to return the money paid by Wide Bay Water (WBW) to the FCRC back into the water and sewerage rates where it rightfully belongs. And this will mean a saving of at least $250 each year for you and every other user of the services. It is a big job, there is no denying that, but with your help we can do it. Because we believe passionately that there is a better way for our Council to serve its people. We must make this potential into a reality before it is too late and we are forever condemned to be the poorest people of Queensland with too few employment opportunities, and too many expenses. This article was supplied to me by Jim Mackellar who has aspirations to become the Fraser Coast’s next lord mayor. According to the draft Community Safety Plan presented to the Fraser Coast Council on Thursday 27/1/2011 almost half (49.8%) of the residents of the Fraser Coast are among the most socioeconomically disadvantaged people in the state of Queensland. Only 3,300 people in Maryborough are considered to be among the 60% least disadvantaged people in the state. 24,000 are among the 40% most disadvantaged. These are appalling and distressing facts. Especially as there are no apparent reasons for our region to be so poor, for our people to be so disadvantaged compared to the rest of the state. We have a wonderful climate, ready access to road, rail and air transport, a ready pool of employable people and ample available land. Why are we so disadvantaged? Even more appalling is the fact that this report was presented to Council on the same day as they chose to increase their salaries to cover the proper reduction in their allowances. Where is the empathy? What is to be done? Professional regional economic development presents the only real opportunity to improve the situation. And the organization best placed to implement regional economic development is the regional Council. But what are they doing? The Council’s economic development efforts are directed only to major projects and tourism. And the last few months have proved how fickle the tourism market can be. Why are we pouring millions of dollars into it at the expense of all other forms of business development? Economic wellbeing is based upon a solid foundation of small to medium size businesses producing goods and services for local and external markets. Building this base can only be accomplished by following the well proven steps that have been successful in the past. Where are our small business incubators? Where is our business retention scheme? What has Council done to improve the regulatory environment for small business investment on the Fraser Coast? Are our present Councillors seriously interested in improving the desperate degree of socioeconomic disadvantage on the Fraser Coast or are they more focused on the preparation of their fancy reports and strategies to create the impression they are doing something? ‘Words, its only words’, may very well be the theme song of this Council but the people of our region need more, much more.